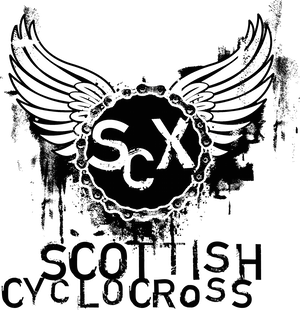 Scottish Cyclocross Association: Hop to it! I've always been a big fan of barrier hopping. Partially due to the odd mishap when performing a flying remount, but mainly because it looks really cool. 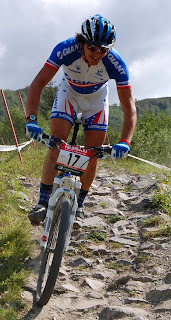 I've never got round to actually trying it in a race and have only seen Kevin Barclay and Jon Meredith pull it off in Scotland. We asked top US mountain bike World Cup racer, and barrier hopping aficionado, Adam Craig for some tips. Always hop on the tops. Kind of catchy, eh? In order to avoid botching #1 you need to do some soul searching first. Are you a clean hucker or a wheel tapper? Ideally the clean huck is the go, but cross being nasty, as it often is, the huck can go wrong quickly if mud is slipped upon or a ball of grass is in the L.Z. I'm 50/50 on the approaches. The huck is easy, just pull 'er up hard and set 'er down light. It's all in the wrists (then the forearms, then shoulders, then hips, then feet)... The tap can be smooth too, just sight the front wheel bonk, making sure it's at least at the axle line or behind, then feel where the rear wheel needs to tap along the same axis. sometimes the rear ends up clearing. Body motion is the same, you just have a point of reference with the tap, this will help you avoid going too huge and having to buy all your mates beer after as a radness tax. Unlucky. That's about it, commit and ride fast. Running is boring anyway, and a silly thing to do when in the vicinity of a perfectly good bicycle. 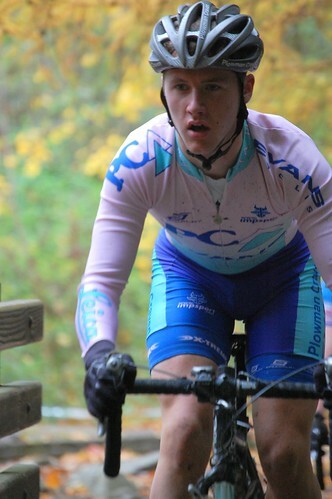 Good luck to Adam for the forthcoming CX season, particularly the US CX Champs in Bend, OR. GIVE 'ER! 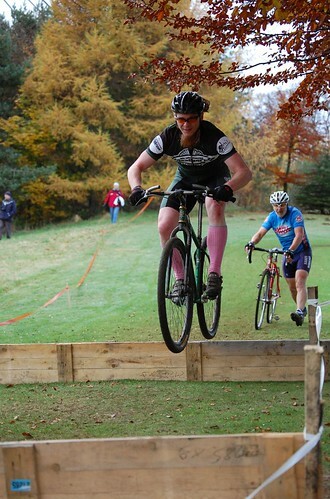 Labels: cyclocross "training barriers" "adam craig" "hop to it"
zz top apparently racing at Aviemore!